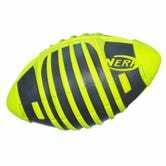 A Nerf football is a timeless classic. Every human being should own one at some point in their life. This would be a great gift for your married friend with football-loving kids, your college roommate or that one friend who really needs to move out of his parents' house. This particular football can be used in the pool and such, but don't be afraid to switch to a vortex. With the sequel to this documentary scheduled to air this month, it's a great time to revisit and gift The U, one of the most successful (and praised) films from ESPN's 30 for 30 series. Director Billy Corben chronicled the rise of the University of Miami's program in this doc, and it's worth it for the number of characters Corben was able to wrangle for interviews. 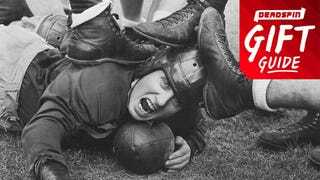 For your thinking football fan friend (who maybe hates the NFL a little bit), League of Denial is an incredible piece of journalism and a fascinating read. Mark Fainaru-Wada and Steve Fainaru use their renowned reporting chops to dive deep into the NFL's mishandling and denial of the sport's concussion issue. This book was outstanding. If you have any better ideas, let us know in the comments.